Andreas lives his whole life in the Austrian Alps, where he arrives as a young boy taken in by a farming family. He is a man of very few words and so, when he falls in love with Marie, he doesn't ask for her hand in marriage, but instead has some of his friends light her name at dusk across the mountain. When Marie dies in an avalanche, pregnant with their first child, Andreas' heart is broken. 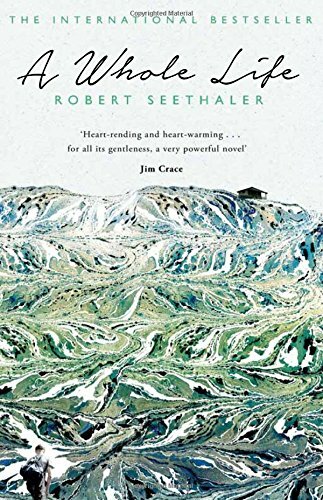 He leaves his valley just once more, to fight in WWII - where he is taken prisoner in the Caucasus - and returns to find that modernity has reached his remote haven . 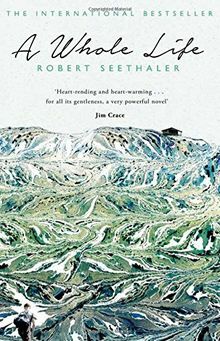 . .
Like John Williams' Stoner or Denis Johnson's Train Dreams, A Whole Life by Robert Seethaler is a tender book about finding dignity and beauty in solitude. An exquisite novel about a simple life, it has already demonstrated its power to move thousands of readers with a message of solace and truth. It looks at the moments, big and small, that make us what we are.